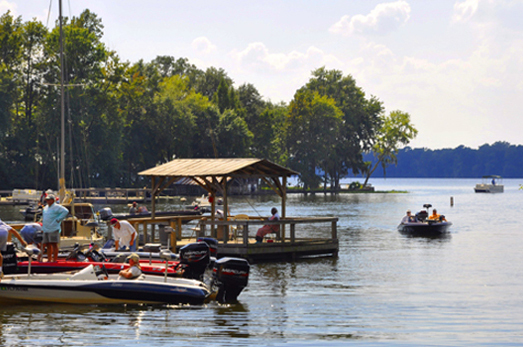 Lake Talquin is nationally known for its high quality black crappie (speckled perch) fishery. The best crappie fishing occurs in winter months (January through April) during the prespawn and spawning period. There is very little vegetation, but lots of tree stumps and logs. At certain times of year largemouth bass, bluegill, redear, white bass, and striped bass fishing are excellent. All black bass that are less than 18 inches in total length and crappie that are less than 10 inches in total length must be released immediately. For more details: Phone: 850-875-2605. Email: fishtalquin@gmail.com.